My critique partners sometimes tell me that they want to know more about this or that element in my story. Isn’t that a good thing? Don’t I want the reader to have questions to keep them turning the pages? If the questions you raise keep the reader intrigued, you are correct; they do keep him reading. If those questions are not answered or at least developed soon enough, you risk losing the reader. Let’s examine one famous book, To Kill a Mockingbird. Already, I’m asking myself why this narrator, a young girl, would open her story by telling about her brother. Their relationship seems unusually close. Why? This will be revealed as we move on, but in the meantime the question keeps me reading. Who is Boo? I ask. What a strange name. My curiosity is peaked. Now, if the character (Scout) had not explained how the arm had been broken and left it hanging (bad image), I wouldn’t want to read on as I wouldn’t trust the narrator to tell the story well. While certain major plot questions may not be fully answered until nearer the end of your book, there must be continual progress in the direction of that resolution. What is a better way to find a new subject for my novel? I’ve tried some of the suggested techniques, but I’m still not satisfied with my results. Carl Jung said, “The creative mind plays with the objects it loves.” You are experiencing a common problem—one that keeps writers awake at night. My best advice is this: Ponder the subjects that most impassion you. Are they truth and justice? Or political corruption? Maybe Medicare fraud? Once you select your topic, you have the foundation for a theme, an important element to any significant book. (See my archived PPW article on theme) Now invent a story line which will form the conduit to relay that message. Begin with a strong opening which subtly implies your chosen theme and go from there. 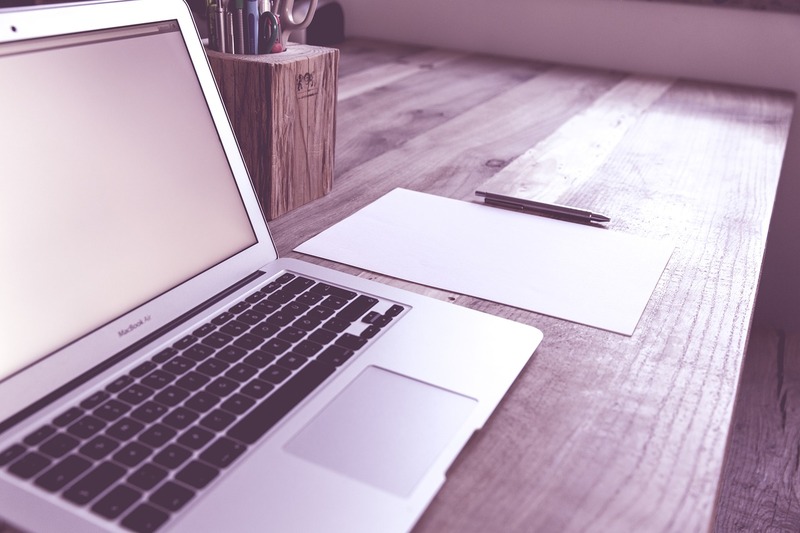 Not as simple as it sounds, but you’ll have a solid start to a meaningful work. I have a story idea in mind, but I can’t decide on a setting. They say to write about that which you know. Is that how I should make my decision? I’ve lived in only two boring locations. Or should I travel to another more interesting setting like Italy and do research? After all, I could write it off. I see your point. However, I suggest you choose a setting appropriate to your theme. The setting should set the proper mood for the story you are about to tell. In my first novel set in Colorado Springs, a young girl is madly in love but is forbidden to date her high school sweetheart. She is devastated but later learns that her mother was right; her intended proves to be a clod. The social milieu shapes the values of the people who live there. Fortunately for this girl, her mother’s conservative values save her from a dubious fate and send her on a personal journey that will lead to a suitable mate and career. The setting of the English countryside where Elizabeth Bennet resides explains the excitement and anticipation she and her sisters feel when they learn of a new tenant of a nearby estate—one capable of introducing some society into their small town. The Nineteenth Century timeframe explains the girls’ motivations to find husbands, perhaps at one of these social gatherings. Jane’s unwillingness to settle for many proposals she receives defines her character and makes her final decision to marry Darcy all the more glorious. The deep south of the United States during the 1930s is the appropriate setting for Harper Lee’s To Kill a Mockingbird. There she explores the tension of racial issues. And yes, she grew up there, so she is qualified to tell the story. On the other hand, an author with enough research can choose any setting and tell the story well if the idea motivates him or her enough. If Italy is a perfect setting for your current story, go ahead and book the trip. If the setting doesn’t fit your story, you can always go for leisure. Maybe the perfect story for that setting will dawn on you while there. Or perhaps you’ll think of an idea set on a plane on the way over and change course altogether. You must follow your central idea to the end by choosing the proper location, tone, and timeframe to compliment your story best. Have a question for me? Write to me at annshill@q.com with your suggestions. I will answer serious questions, and maybe some funny ones, to the best of my ability. Your writing is of utmost importance to me because it is important to you. Paulo Coelho de Souza, born Aug 24, 1947, is a Brazilian lyricist and novelist. 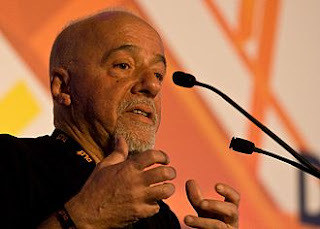 He is the recipient of numerous international awards, amongst them the Crystal Award by the World Economic Forum. His novel The Alchemist has been translated into 81 languages. Look who discovered her book in Target? Congratulations to Michelle Major! About a Fortune in Waiting: Even in a town as eclectic as Austin, Keaton Fortune Whitfield stands out. He’s captured the fancy of every red-blooded Texas female in town…except one. Francesca Harriman, his favorite waitress at Lola May's, seems completely immune to his charms--which only makes him want her more. Francesca has been burned before, and she won't let the Londoner melt her heart. What would a brilliant, wealthy architect want with a commoner like her? Could a hash-slinging waitress really find happiness with a Fortune? I have a good sense of finality. If you follow me on Facebook, you’ll notice that after most events, I post a picture of torn-down tables, empty rooms, or empty chairs. At comic cons, at writers conferences, it takes so much time to create the temporary marketplace and yet it can be torn down in minutes. Snap your fingers. Blink. And the event is over. All lost. Like tears in rain. In the end, in the halls of our own selves, there will come a time when the books will be boxed up, the swag put away, and it will all be carted off to the van to be delivered to some impossible-to-understand destination. In the end, we all will be dead. I have a confession to make. I’ve been lax on my Pikes Peak Blog posts. I was hitting the monthly deadlines for years on end (sometimes running late, er most of the time late), but in 2016 something has changed in my writing life. I spent more time promoting than writing. The game has changed. 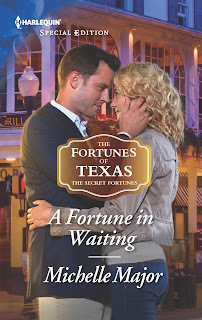 I have five books out in the world, and if all goes well, by this time next year, I’ll have ten books, including three romances I’ve co-written with Andrea K. Stein, my partner in crime. By the end of 2017, ten books. That’s a lot. Howdy-do, that’s a lot. One of Pikes Peak Writers dearest friends, Linda Rohrbough, now Linda Houser, gave me the rules of writing when I was brand-new back in March of 2006. She said the game changes at every stage, and the game for me has changed. But I don’t want it to change. I want things to stay the same! I don’t want the vendors to tear down on Sunday night and I don’t wanna go home! Why can’t we always be at comic con? But I do know that constant change is here to stay (yes, Rush lyric) and that I have to change with it. I have to accept the many deaths along the way. 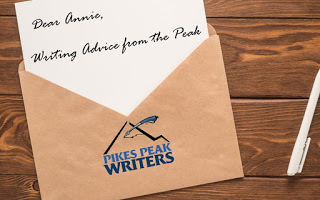 So I have to step down from writing blog posts for Pikes Peak Writers. The nice thing is, we have others, like the inimitable Jason Evans, who is there to replace me. And what great news for me, right? I’m writing books, I’m selling books, things are awesome, right? Right? Nope. It’s too real. I want it all to be so much grander than it is. I want so much more dram, so much more amazing. This is why I write fiction. Because in my books, I can make things how they should be, not how they are. In reality, I have to accept things as they are. In a lot of ways, I don’t feel any different than I did when I didn’t have any books on Amazon. I feel despair, and hopelessness, and a keen sense I’ll never make it. And when I say make it, I mean how like J.K. Rowling made it. I wanna be Stephen flippin’ King or it doesn’t count. Which is all such a recipe for disappointment. Even the real Stephen King isn’t the fictional Stephen King (yes, that’s a Dark Tower reference). I have to practice being grateful. I have published books. I have a community of wonderful writers in Colorado whom I love. I don’t think there is a better state in the U.S. than Colorado for being a writer. We are lucky. No, we are blessed. I’m blessed, that I’ve gotten to write for the Pikes Peak Writer’s blog for so many years. I’m blessed to be able to go to the conference every year and hang out with you wonderful people. And as long as I’m alive, I need to hold on to that feeling of gratitude. Being an author isn’t an easy life, it never has been, but y’all make it so much easier. I can never repay Pikes Peak for all it has given me over the years. The PPWC was the first writer organization that invited me to talk. You had me emcee the conference three years in a row. And dang, being asked to write for the blog was such an honor. And yeah, I’ll be stepping away, but I won’t be dying. Not yet. Not any time soon. I have books to write, dammit, before this party closes up, and I get to take that short walk home. Aaron Michael Ritchey is the author of The Never Prayer, Long Live the Suicide King, and Elizabeth’s Midnight. 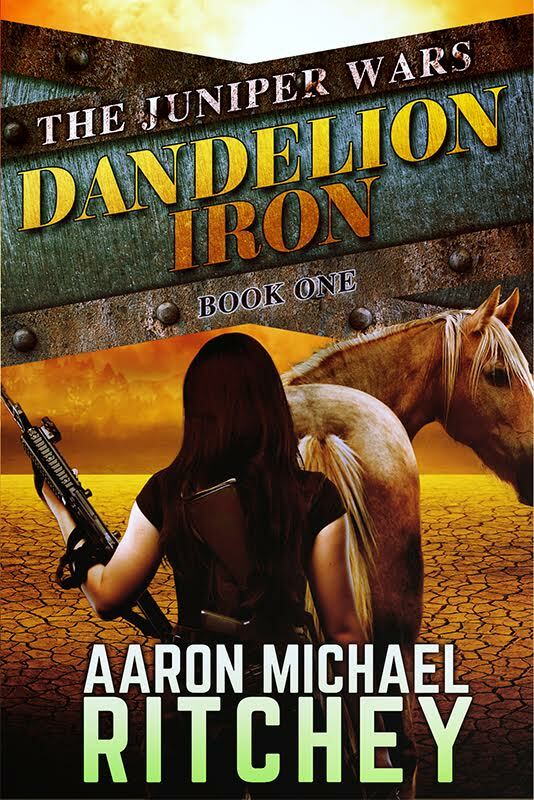 His fourth novel, Dandelion Iron, the first book in The Juniper Wars series, is available now from Kevin J. Anderson’s WordFire Press. 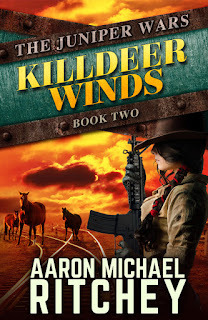 If you like the first one, Killdeer Winds, the second book in the series, just hit the streets. 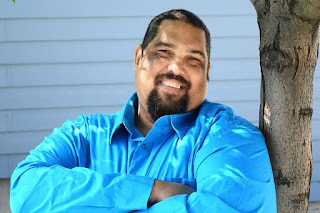 In 2015, his second novel won the “Building the Dream” award for best YA novel, and he spent the summer as the Artist in Residence for the Anythink Library. He lives in Colorado with his wife and two ancient goddesses of chaos posing as his daughters. The days are short and the nights are long right now, and if you live in cold weather country every day is perfect for sitting with cocoa and a blanket by the fire dreaming of warm summers by the lake. You will not hide from the cold under a blanket. I can see your nose peeking out from under the covers, and your eyes do seem a bit blurry, but it’s time to shake off the holiday hangover and Leap into Writing! Grab your cocoa/tea/coffee and head over to your desk. Join PPW and writers across the country for a month of writing starting February 1st. Leap into Writing is all about writing. Each day of the month. It is your choice what you write, and how much, but it must be every day. Are you plotting a new novel? Then you must plot every day. Are you shopping a completed screenplay? Daily submissions are the rule in this game. Flash Fiction? Poetry? Short Stories? Whatever your choice of writing goal, make sure you do it every day. You write every day already? Then make this a challenge month for yourself. Write outside of your normal genre, produce twice as many words, or be an accountability partner to a fellow writer who may need that daily nudge to get through the Leap. Find a challenge and do it every day of February. leap, jump, fly, year, day, crazy, fun, write. · Writing Prompt: Pick a pun and write something. · Today is the new year; the year of the Fire Monkey. The Fire Monkey brings vast changes and passion. It only comes around once every 60 years. Dedicate your writing to the Monkey....the Fire Monkey. (Strut your stuff in 2017; it’s the year of the Rooster). We will gather on Facebook and write from 12:00 am on February 1, 2017 through 12:00 am on February 28. Headquarters for this challenge can be found at Facebook. [If you are not on FB please email me (kjscrim @ gmail.com) and I will add you to an email blast.] All writers at any level (novice to professional) are welcome. 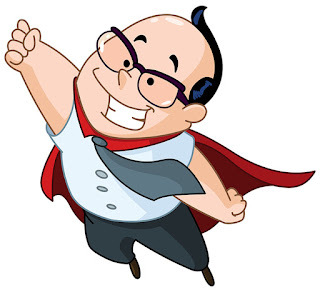 Wrap your blanket around your neck like a superhero and LEAP INTO WRITING! Each day inspiration, planning, and plotting. Leap into Writing starts February 1st. 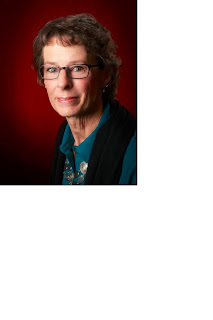 About the Author: Kathie Scrimgeour writes under the name K.J. Scrim and has been a member of Pikes Peak Writers since 2013. She has volunteered at the last two PPW conferences and coordinates the Sweet Success column. 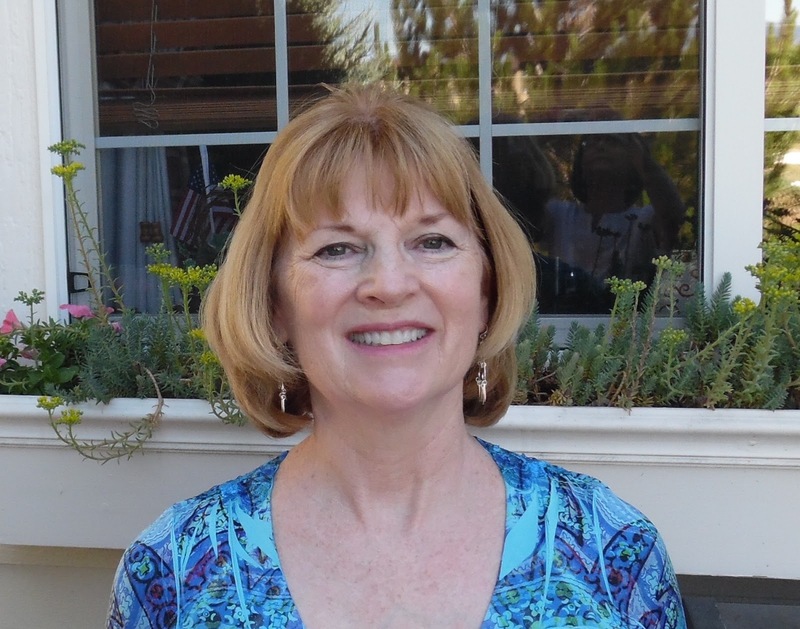 Kathie is a self-taught writer who delves into fantasy, fiction, and historical fiction. Her debut fantasy novel,The Manx, is scheduled to release later in 2017. She lives outside of Denver with her family, two dogs, and a crazy cat. 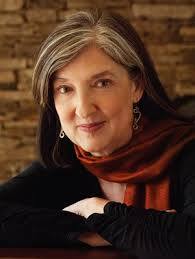 Barbara Kingsolver, born April 8, 1955, is an American novelist, essayist and poet. She was raised in rural Kentucky and lived briefly in the Congo in her early childhood. Kingsolver earned degrees in biology at De Pauw University and University of Arizona and worked as a freelance writer before she began writing novels. Her widely known works include The Poisonwood Bible, the tale of a missionary family in the Congo, and Animal, Vegetable, Miracle, a non-fiction account of her family's attempts to eat locally. Her work often focuses on topics such as social justice, biodiversity and the interaction between humans and their communities and environments. Each of her books published since 1993 has been on the New York Times Best Seller list. Kingsolver has received numerous awards, including the Dayton Literary Peace Prize's Richard C. Holbrooke Distinguished Achievement Award 2011, UK's Orange Prize for Fiction 2010, for The Lacuna, and the National Humanities Medal. She has been nominated for the PEN/Faulkner Award and the Pulitzer Prize. In 2000, Kingsolver established the Bellwether Prize Prize to support "literature of social change". Dragons are creatures of legend. Of magic. Of wisdom, nature, and the power of creation. They have been in every culture and mythology since the beginning of time. Writers are creatures of legend. With magic, wisdom, and the power of creation at their fingertips. They, too, are in every culture and have been creating their own mythologies since the beginning of time. 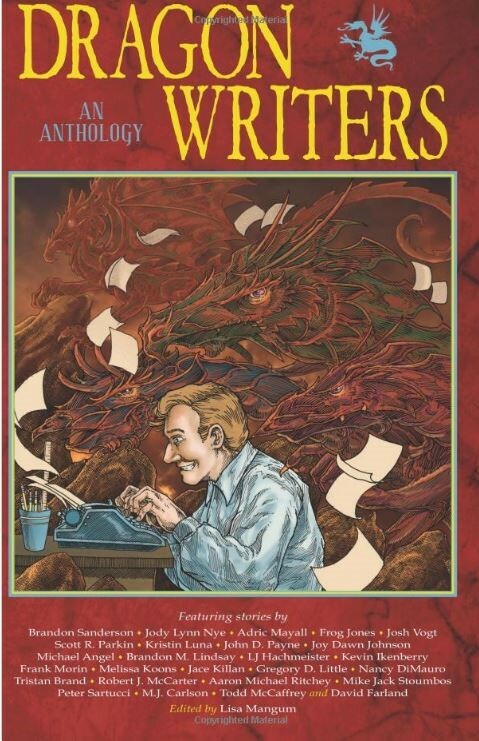 Within each writer is the power of a dragon. . . . The power of creation. Gathered together are twenty-six stories from writers who dared to tame this power, including New York Times best-selling authors Brandon Sanderson, Jody Lynn Nye, Todd McCaffrey, David Farland, and others. 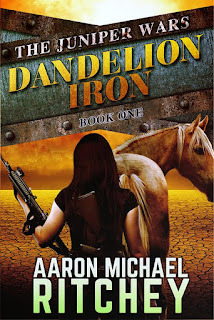 Aaron Michael Ritchey is the author of five young adult novels and numerous pieces of short fiction. In 2012, his first novel, The Never Prayer, was a finalist in the Rocky Mountain Fiction Writers Gold Conference. In 2015, his second novel, Long Live the Suicide King, won the Building the Dream award for best YA novel. His epic sci-fi western series, The Juniper Wars, is available now through WordFire Press. 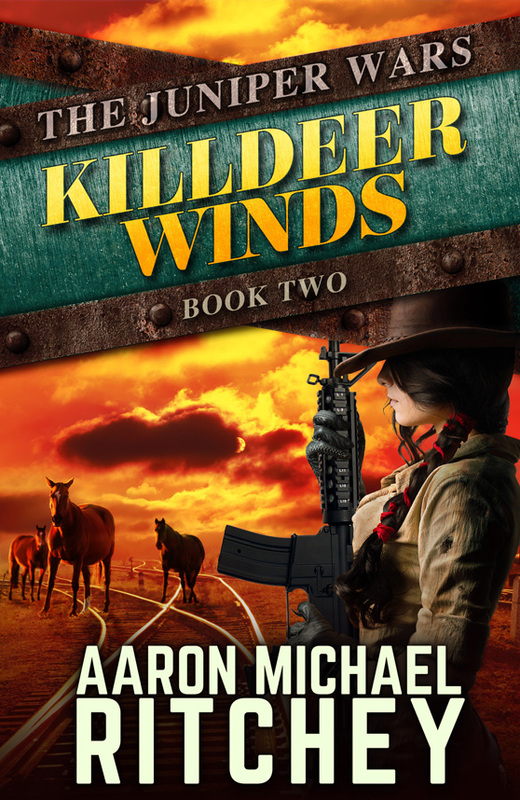 The second book, Killdeer Winds, was on Amazon’s Hot New Releases for September of 2016. Aaron lives in Colorado with his wife and two stormy daughters. Editor's Note: Please welcome Linda Rohrbough back to the blog. It's so wonderful to have her contributing again, and what a timely subject. Discouraged was putting it mildly. They had a throw-up-your-hands, what’s-a-body-to-do attitude. They did admit they felt like they had won the lotto when they executed my advice and got a send it (after using my pitching formula). But once they got turned down, the publishing world became all gray and gloomy again for them. I know no one wants to hear this, but there’s a term for this mode. It’s called victim. Here’s the truth. There are people like me who cheer others on, and I’m happy to do it. Giving you formulas and keys to help you move toward your goals is part of who I am. But folks, bestselling authors are not order-takers. If you’re waiting for someone to tell you what to do and how to do it, then what happens when you hit an obstacle you’ve never seen before? (You may hit an obstacle no one has seen before, or at least one no one will admit to seeing before.) Part of the reason bestselling authors get paid so well is they are risk-takers. They are willing to get out there and fail, then get up again and try. One of the principles I teach in my workshops is the game changes at each stage. If you’ve figured out how to get a send it from agents or editors, then you’ve moved into a new stage. And the game changes. It’s not over. It’s never over. You’re just at a new level. I recently had a skin treatment for some scarring on my arms, which involves micro-injuries. Turns out micro-injuries produce healing and great results. After treatment with an electric “pen” that pokes my skin with nine tiny needles really, really fast, the injuries made stimulate my brain and nervous system to send healing resources. Does it hurt? You betcha. It hurts more hours later because they numb you during the process. It feels and looks like a bad sunburn, and peels like one, too. But the end result over time is firmer skin, reduced or eliminated scarring, and overall glowing health. There are several treatments involved that are six weeks apart, so this is not a fast process. 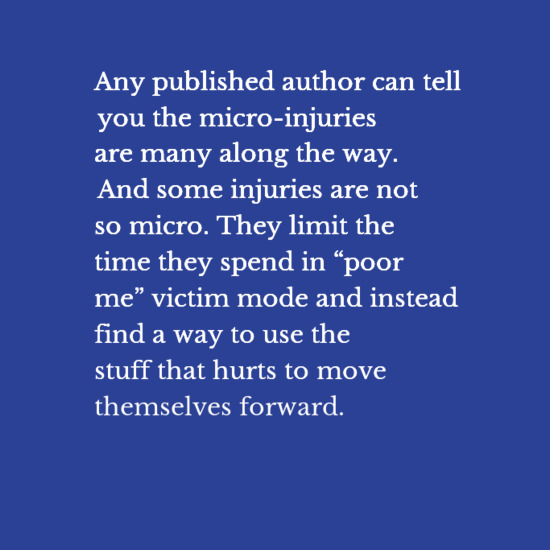 The fact that micro-injuries cause pain and it's not a fast process is a great metaphor for life, and it especially applies for life as an author. Any published author can tell you the micro-injuries are many along the way. And some injuries are not so micro. They limit the time they spend in “poor me” victim mode and instead find a way to use the stuff that hurts to move themselves forward. 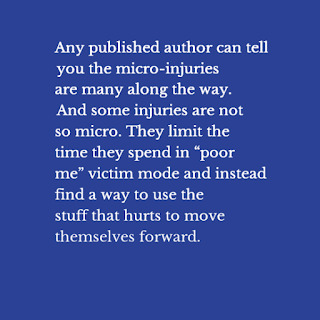 If you can roll with the micro-injuries, they can be healing for you and strengthen you as an author. The key is letting the injuries produce the results. My goal with this article is to help you set your expectations, see these events as stepping stones, so you can be successful. So, my pre-published friends, and my published friends, consider an attitude adjustment. Because, in reality, our ultimate choice in life, no matter what happens, is to choose our attitude. Success requires it, and that’s how you enter success mode. Bio: Linda Rohrbough has been writing since 1989, and has more than 5,000 articles and seven books to her credit, along with writing for television, and seven national awards for her fiction and non-fiction. An iPhone App of Linda’s popular “Pitch Your Book” workshop is available in the Apple iTunes store. Find her on Facebook as "Linda Rohrbough - Author" or visit her website: www.LindaRohrbough.com. A while back, JT Evans contributed a post about the acronym R.U.E., or “Resist the Urge to Explain,” giving it a definition I’d never heard before. I thought I’d share my take on the subject with a more traditional explanation. As authors, we want to make sure our reader’s “get it,” so we tend to go overboard with information, explaining far too much. Here’s an example: "Mary laughed so hard, she was afraid she'd pulled a stomach muscle. Susie had just told the funniest joke Mary had ever heard." The second sentence isn't needed; it's explaining something the reader would be able to figure out in context. After Bill cancelled their date, claiming his aunt was sick, Mary was depressed. She took one bite of chocolate cake, then pushed the plate away. Mary had been looking forward to her date with Bill for weeks, but he'd cancelled, giving some excuse about a sick aunt. She moved the chocolate cake around the plate with her fork, then pushed it away. The reader gets the information, and can see that Mary's depressed without having to be told. You can use the same to show other emotions. Maybe Mary was angry, not depressed, after Bill cancelled. Maybe she throws the whole cake against the wall. Mary's feet felt like lead. She couldn't run fast enough to escape the man chasing behind her. Cut the first sentence. You don't need both. What about: Mary ran, but her feet refused to move fast enough to escape the man chasing her. Or, Mary's feet moved as though encased in lead shoes. Sometimes, we tell the reader too much. Mary twirled up two strands of spaghetti and waited for the excess sauce to drip onto her plate. Leaning forward, she manipulated the fork into her mouth, then wiped her mouth with her napkin. She was a very careful eater because she hated getting stains on her clothes. Don't insult your reader with the last sentence. No need to explain. We can see for ourselves Mary is a meticulous eater. Another common place writers need to Resist the Urge to Explain is in dialogue. Too often, we tack on tags or beats that tell the reader what the dialogue has already shown. 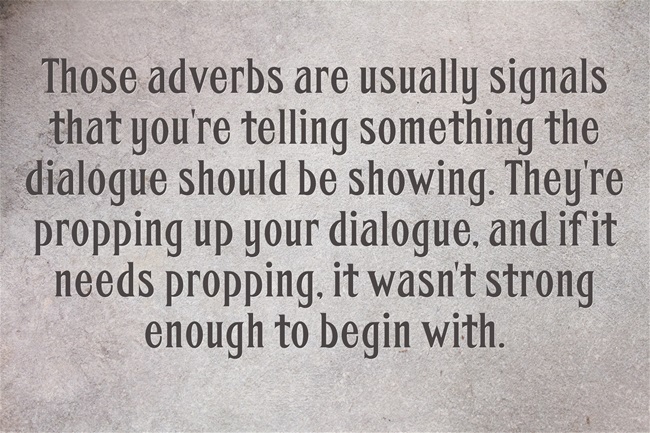 Are you adding adverbs to your dialogue tags? "I'm sorry," Tom said apologetically. 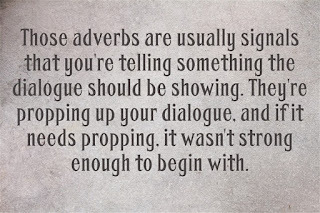 Those adverbs are usually signals that you're telling something the dialogue should be showing. They're propping up your dialogue, and if it needs propping, it wasn't strong enough to begin with. All that 'scaffolding' merely calls attention to the weak structure beneath. Will your reader notice these differences? Probably not, but they might not enjoy the read even if they can't explain why. However, agents and editors are tuned into them, and if you're submitting, you don't want to send up any red flags. Check your manuscript for 'emotion' words, especially if they're preceded by "was" or include "felt." Are you describing your character's feelings? Don't tell us how your character feels. Show us. Check your dialogue tags and beats. Are they consistent with the words being spoken? If so, you don't need them. If not, your readers will be confused, trying to reconcile dialogue with the action. Readers are smart. Don't patronize them by 'talking down' to them. 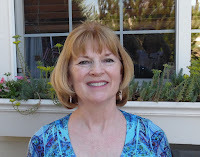 About the Author: Terry Odell always wanted to "fix" stories she read so the characters did what she wanted. Once she began writing, she found this wasn't always possible, as the mystery she intended to write became a romance—a real surprise, since she'd never read a romance. Terry writes mystery and romantic suspense, but calls them all "Mysteries With Relationships." Her 20+ published works include the Blackthorne, Inc. covert ops series, the Pine Hills Police series, the Triple-D Ranch series, and the Mapleton Mystery series. Her awards include the Silver Falchion and HOLT Medallion, among others. 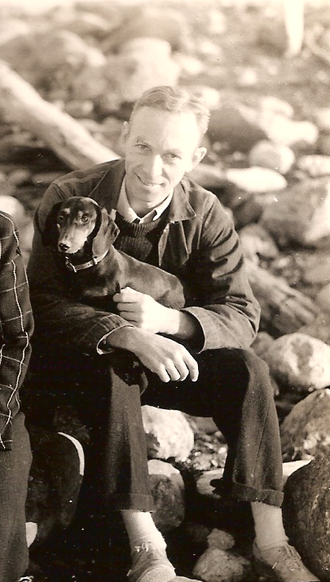 “E.B.” White, July 11, 1899-October 1, 1985, was an American writer. He was a contributor to The New Yorker and a co-author of the English language style guide, The Elements of Style, which is commonly known as “Strunk & White.” He also wrote books for children, including Stuart Little (1945), Charlotte’s Web (1952), and The Trumpet of the Swan (1970). 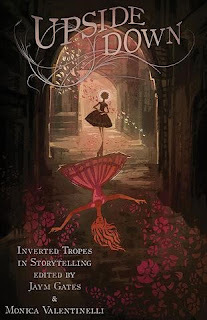 Upside Down: Inverted Tropes in Storytelling. An anthology of short stories, poetry, and essays edited by Monica Valentinelli and Jaym Gates. Over two-dozen authors, ranging from NYT-bestsellers and award winners to debut writers, chose a tired trope or cliche to challenge and surprise readers through their work. 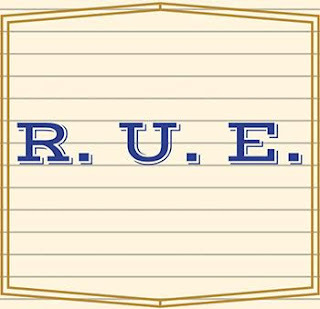 Read stories inspired by tropes such as the Chainmaille Bikini, Love at First Sight, Damsels in Distress, Yellow Peril, The Black Man Dies First, The Villain Had a Crappy Childhood, The Singularity Will Cause the Apocalypse, and many more...then discover what these tropes mean to each author to find out what inspired them. 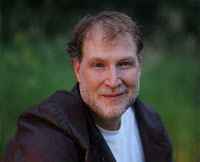 Patrick Hester is an author, blogger and two-time Hugo Award Winner. He lives in Colorado, writes science fiction and fantasy, and can usually be found hanging out on his Twitter feed. His debut novel, SAMANTHA KANE: INTO THE FIRE is forthcoming from WordFire Press. His short fiction can be found in the anthologies Space Battles: Full-Throttle Space Tales #6 and An Uncommon Collection, as well as the eBooks Conversations with my Cat, Witchcraft & Satyrs, Consumption, Cahill's Homecoming (Cord Cahill Serials Book 1) and Cahill's Unfinished Business (Cord Cahill Serials Book 2). Was your holiday restful? Was it crazy and fun? Did you have to put out a lot of dysfunctional family fires? Regardless of whether or not you enjoyed your holidays, they are now over. Time to get to work on that book. More importantly, it’s time to start working on that book of historical fiction. Over the course of 2017, I will blog about my process of writing a historical novel. It could be action, romance, mystery or any genre grounded in the history. We will cover ALL the steps required to finish your novel. From concept to research to organization to publication. We will cover it all. In addition, if I bring up something here that you wish I could discuss further, simply cross over to www.jason-evans.net for further details. On my website, I will go into further details about all the stuff you’ll read here, first. But enough of my shameless self-promotion! Have you ever watched a television show or film and thought, hey! That’s an interesting character! I want to learn more about her! Or, have you ever read a magazine article and thought, Wow! That was a really fascinating time period! I wonder how they would have reacted to ________________? These are the beginning of story ideas. Ideas that you can chew on in your head and develop into novels that other people will read. Stephen King was working a custodial job at his high school when he was asked to help out in the girl’s locker room. He saw the little metal boxes for tampons in the shower stalls and thought, What would happen if a woman had her first period, here, in the shower stall? From that Carrie was born. Lin-Manuel Miranda was on vacation and read Ron Chernow’s biography of Alexander Hamilton, which inspired the hit Broadway musical, Hamilton. Inspiration is all around you. Maybe you only have a character in your head. A scrappy young heroine, or a grizzled, bitter veteran of a thousand campaign. Maybe you have a setting that excites you, like Mexico City as the U.S. Army is about to attack it in September or 1847. The intrigue! The tension! Maybe you only have an event in your mind. You see a sad woman all dressed in antique white lace about to put a veil on and walk down an aisle. Why is she sad? Will she marry for duty? Does she wish a loved one was there to see her marry? What’s going on? Whatever kernel of a story you have, at least it’s a beginning. There is something about that character, that event, or that place that excites you, gives you the flutters, and motivates your story. Now it’s time to tease it out. Before I go on, let me just say I am a BIG fan of Blake Snyder’s Save the Cat trilogy of screen writing books. I will refer to his wisdom often during our writing journey. Here is my first ode to Save the Cat. You gotta have a log line. A Log line is a simple couple of sentences or short paragraph that describes what your story is about. It is really important you have this down before you go writing, willy-nilly. Let me explain why. Chiefly, I don’t want you to get excited and go write a kernel of a story. I want you to write the whole blasted thing. Writing your log line will help you create an antagonist, a conflict and a hero’s journey. “But Jason,” you say, “I’m not a planner, I’m a pantser! I don’t organize anything when I write.” My response is this: “I’m just asking you to write 3-5 sentences, so you can anchor your story, give it some depth. I’m not asking you to write a five-page outline with subplots detailed out and 50 pages of written back story. 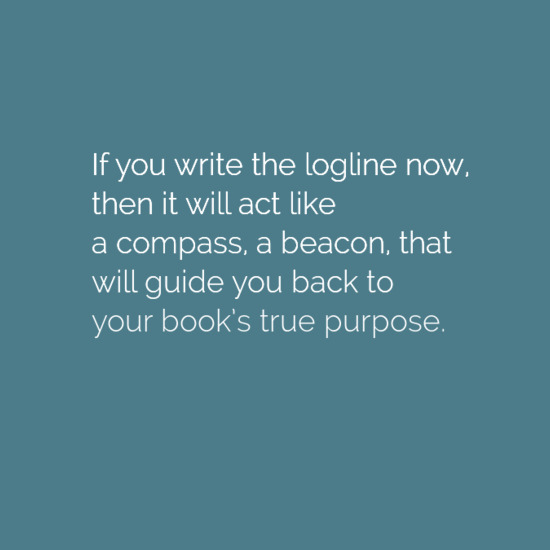 Writing a log line will help focus you as you write the opening chapters of your book. But there’s another reason why you should write your log line. I want you to go up to people you know and read them the logline. Do they get as excited as you do? Do they think it’s a good idea for a book? If so, you probably have something workable as a story. If you don’t, figure out why. Is it because your ideas aren’t fully formed or is it because you weren’t clear about how awesome your story is? Both are fixable. But do you want to know the REAL reason you should write a logline? If you pitch to editors and agents, you’ll have to come up with a logline, anyway. A quick way to give them a synopsis of your book. It is better to do it now, before it’s written, then to do what I did and write it afterward. See, I was so proud that I had written a book. So proud of my dialogue, my subplots, and my twists, that I blathered on about the characters and the challenges they faced. I talked about the minor characters, the historical events it surrounds, and everything but the conflict, the heroes, and the road they walked. 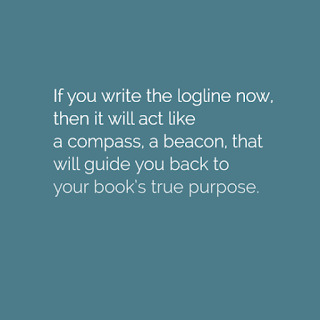 If you write the logline now, then it will act like a compass, a beacon, that will guide you back to your book’s true purpose. If you feel like what you’re writing is true to your logline, but you just don’t like it, then change your logline to better reflect the story you want! Show the protagonist has the longest way to go emotionally. Proud Farmer’s daughter (adjectives describing protagonist) Elizabeth mean girl Sue always picking on her. (adjective describing antagonist,) But the Founders Day picnic is coming up and Elizabeth has the fastest horse in the county. She’ll show Sue, she’ll show everyone when she wins the blue ribbon. (Compelling goal: vindication, revenge, respect of peers,) There’s only one problem, Elizabeth’s father won’t let her compete. (Most conflict: How can I win if Pa won’t let me?) He says such competitiveness is sinful pride, that Elizabeth should love her enemies. But Dad doesn’t understand. 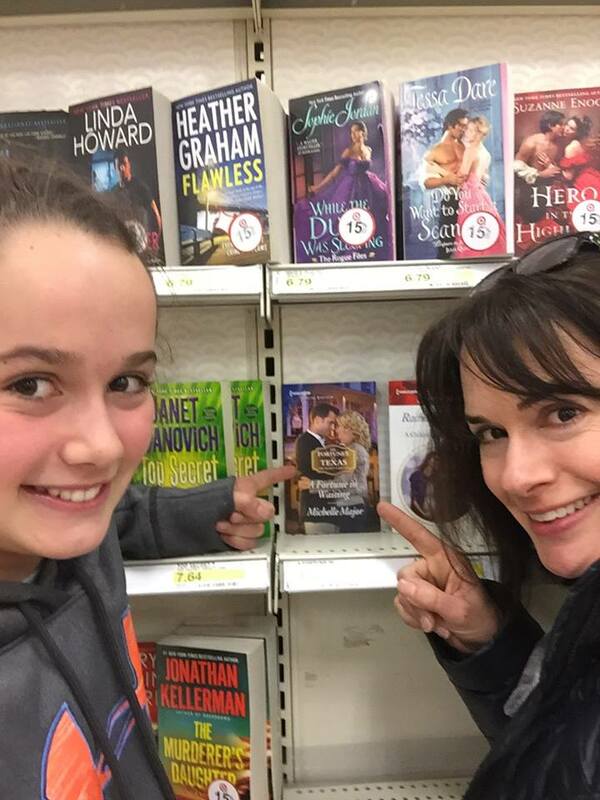 Will Elizabeth defy her father to save her pride, or allow Sue to humiliate her again? While Elizabeth chooses, she learns what true respect and love really are. I hope this has been helpful. Next month, we’ll talk about organizing, shaping and sanding out your story so all your characters have depth, your conflicts are intense and the stakes are high. Come over to my site at www.jason-evans.net if you want to learn more about the logline and how to twist your story concept so it’s more compelling. There, I’ll also explain how I got inspired to write my first unpublished novel, The Gallowglass. Labels: blake snyder, historical fiction, Jason Evans, loglines, Save the Cat!